Hello, it’s Nigeria’s independence again. Yay!! You may be among those scuffing at the thought of celebrating Nigeria’s Independence Day. I understand, you don’t feel the present economic situation warrants a joyous celebration. Cheer up, here are 5 out of many reasons to be grateful and celebrate. I don’t mean to sound clichéd but seriously, you alive!! Come on, if that’s not reason enough to be grateful I don’t know what is. When you don’t have so much money, it becomes more important to put on your thinking cap. This is the best time for you to reach deep into your wealth of knowledge. It’s when your creativity enters full drive and you will surprise even yourself with the extent of your uniqueness. 3. 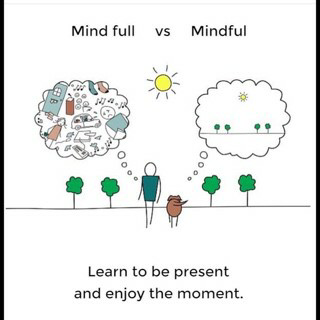 You’re more mindful than your mind is full. I used this words because that’s the easiest way to illustrate this situation. I saw an image (see the image below) that really touched the heart of how we miss out on the great things around us. In the recession, if you take your mind off complaining long enough to appreciate even the littlest things, you’d be amazed what you’d discover. You see, I’ve been passing through one particular road consistently for a while now and never noticed there’s a good spot for a food business there. It was the day I kept my mind free of many unnecessities that noticed the diamond in the rough. So be thankful for the special people and things around you. 4. You have more than before. Yes, you read that right. It’s ironic right? But the truth is, when there’s a recession you will become less wasteful. There’s no other way to put it, we are quite wasteful most times. We use up about 2 to 3 portions extra of what should logically be enough for us. But when you consider the cost of one bag of rice, you will have a rethink. The good part of the recession is now, we are rational with our spending and usage of resources. 5. We are simply a happy people. Sincerely, this is the part I love the most about my country. We are just happy, we can’t help it. We always find happiness in every situation. Yes, many of us also thrive in chaos, but it is from this we see the creative among us putting smiles on our faces. I don’t know about you, but I really love my country Nigeria. I see a great future for our people, and I hope to be a significant part of that future. What are you greatful for this Independence day? Let’s hear your thoughts on blog.